I bet every big city in the world has a restaurant called the Bombay Inn and so Amsterdam has to have one as well. 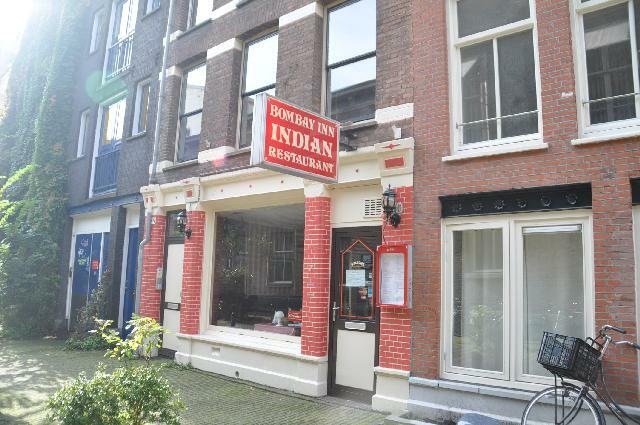 This Indian restaurant is located just 5 steps off Leidseplein and has been around for years. When you walk into the restaurant, you’ll notice this immediately as the interior is slightly outdated (to say the least). Customers who come here are mostly regulars who have been coming here for ages. And when you taste your first bite you will know why. The Bombay Inn serves authentic Indian dishes with a variety of meat, fish and vegetables. The strong smell from the kitchen already tells you that what you are about to eat is a true explosion of flavors and colors. Lovely creamy curries with meat so soft that it melts in your mouth, spicy vegetable dishes and the best mango chutney ever… It’s as if you’re in India for a second! Hell, I’m getting hungry just thinking about it. The people behind this tasty food are an older Indian couple, who after all these years is still cooking the food with their very own hands day after day. Their son is responsible for serving customers. This family is a great team as things are going pretty smooth in this restaurant. You can have a decent dinner here for about €20 per person and they do take aways as well. Small tip: if you are sensitive to the strong smell of Indian food, I advise you to leave your good outfits at home. Leaving this restaurant you will find the scent of the flavors lingering on your clothes, your hair and your coat. Then again, this tells you that you had the best Indian dinner in Amsterdam! Public Transport :Tram 1, 2 and 5. Stop at Leidseplein.